As the CEO of a people-based business, one of my favorite things to do is meet with our consultants one-on-one over coffee. It is incredibly important to me to make real connections with the people who make our company great and build relationships with people at every level of our growing firm. Because it’s easy to get caught up in the daily grind and overlook one of the most important things in our business (our people), I make a concerted effort to meet someone new every week. A few weeks ago, I met with one of our stars, D'Laina Boynton. Over some of Seattle’s finest brew, she shared her passion for causes that make our communities happier, stronger, and safer. Her desire was to create opportunities for Bridge employees, families, and friends to join together and make an impact outside the office. With D’Laina leading this effort, we formally started a Bridge Volunteer Community to organize and plan volunteer events throughout the year. We knew we had an incredible team with diverse talents and passions and we learned that when we join together and make an intentional effort, we can truly be a force for good in our community. 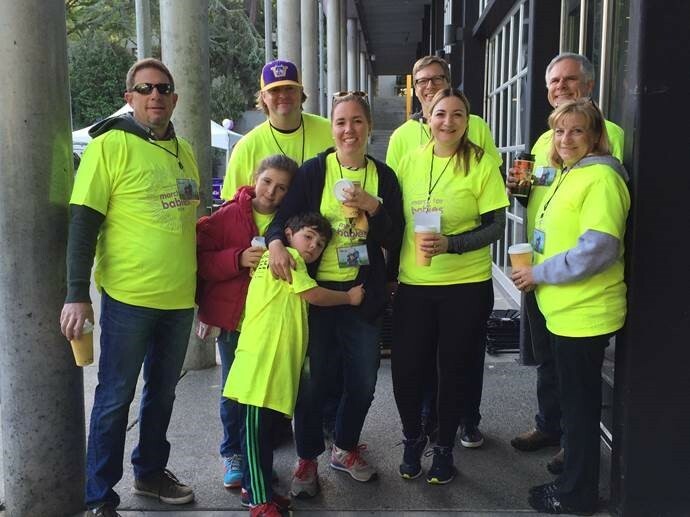 Earlier this month, we partnered with the March of Dimes, and employees from our Seattle office volunteered in support of the annual March for Babies of Puget Sound. Next month, we’ll partner with Seattle Parks and Recreation to do a park cleanup. In addition to the time and energy our people invest in local causes, corporate support is also an important part of our approach to community service. Bridge supports local public education initiatives such as the Alliance for Education and Rainier Scholars, as well as global health non-profit PATH. Further, our matched, employee-directed giving program has expanded our reach considerably. I’m truly proud of the contributions our team has made to the communities where we live and work. Since we started this company in 2006, we’ve sought to create an environment where our people are empowered to contribute, have real influence on how we do business, and work together to build a positive, meaningful culture. It’s what Bridge Partners is all about.